Minneapolis launched in 2016 and is now operating each of the three interventions locally while continuing with the evaluation phase of the program. 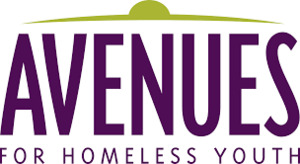 Providers of emergency shelter, short-term housing and supportive services for homeless youth in a safe and nurturing environment, including the oldest running LGBTQ host home program in the US. A leading Twin Cities organization intervening in and preventing youth homelessness through rapid rehousing and other methods. Mental health support for queer and trans youth in the Minneapolis area.